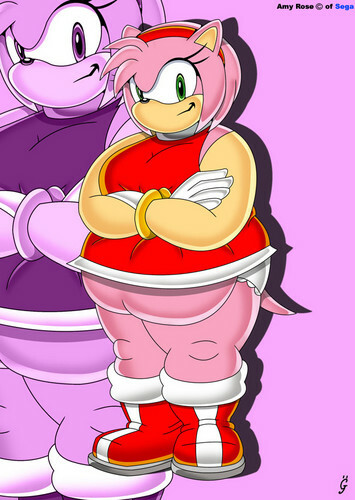 fat amy rose. thats gonna happen from her deppression shes gonna get from being re jected too much. HD Wallpaper and background images in the 刺猬索尼克 club.